Nicolas Maduro appealed to Pope Francis to help prevent a US invasion of Venezuela. 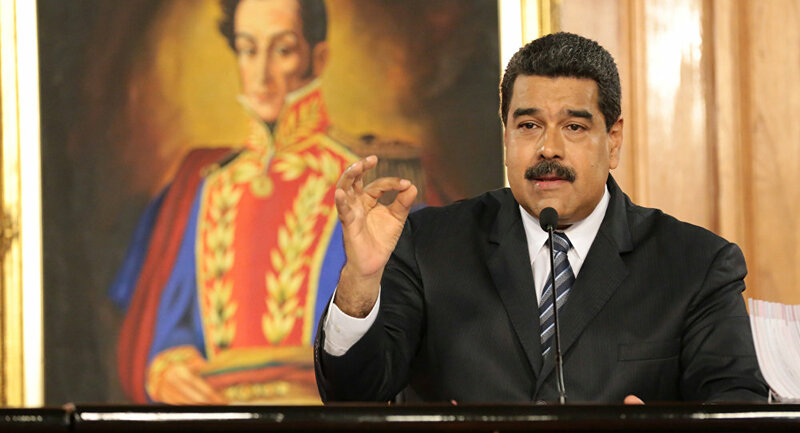 MOSCOW (Sputnik) — Venezuelan President Nicolas Maduro on Tuesday appealed to Pope Francis to help prevent a US invasion of Venezuela. "May the Pope help us prevent [US President] Trump's invasion of Venezuela and to establish respectful dialogue [with the opposition]," Maduro said at a conference in Caracas. which was shown at the Venezuelan embassy in Moscow. Venezuela plunged into turbulence in March, when the Venezuelan Supreme Court decided to restrict the power of the legislature. The decision was reversed amid a backlash, but supporters of the parliament, who strive for the dismissal of the court members, took to the streets, marking the start of deadly protests which have so far claimed lives of over 120 people. The protests were fueled by the National Constituent Assembly election, initiated by Maduro with the intention of rewriting the constitution of the unsettled nation. Venezuela's opposition as well as a number of foreign countries have refused to recognize the body's legitimacy. On August 12, US President Donald Trump stated that the United States did not rule out the possibility of military action in Venezuela, citing a rising number of protest-related deaths in the country.